Heavyweight boxing in the 1990's was dominated by names like Evander Holyfield, Lennox Lewis, and Mike Tyson. But one name that's sometimes forgotten is that of a fighter who had a very memorable career. As good as those other guys were, Michael Moorer was just as good. Born in Monessen, Pennsvylvania, a tough former steel town just outside of Pittsburgh, Moorer compiled a career record of 52 wins, 4 losses, and 1 draw. Moorer's first taste of championship gold came in 1988, when as a light heavyweight, he won the WBO light heavyweight title. Moorer would win all 22 of his matches as a light heavyweight, before moving to the heavyweight class in 1991. The success Moorer had as a light heavyweight followed him to the heavyweight division. Moorer won his first 7 fights as a heavyweight, with the 7th win being for the vacant WBO Heavyweight Championship. Moorer would win his first 12 fights as a heavyweight, before one of the biggest fights of his early career. In 1994, Moorer fought Evander Holyfield for the IBF, WBA, and Lineal heavyweight titles. Moorer won the bout by split decision, in what would be one of the most notable victories in his career. Standing undefeated after 35 fights, Moorer would suffer the biggest loss of his career in his next fight. Facing a 45 year old George Foreman, Moorer was knocked out in the 10th round, losing the 3 titles he had claimed in his previous fight. Moorer would comeback to win the vacant IBF heavyweight title in 1996 by defeating Axel Schulz. That would set up a rematch with Holyfield the next year in a title unification match for the IBF and WBA championships. 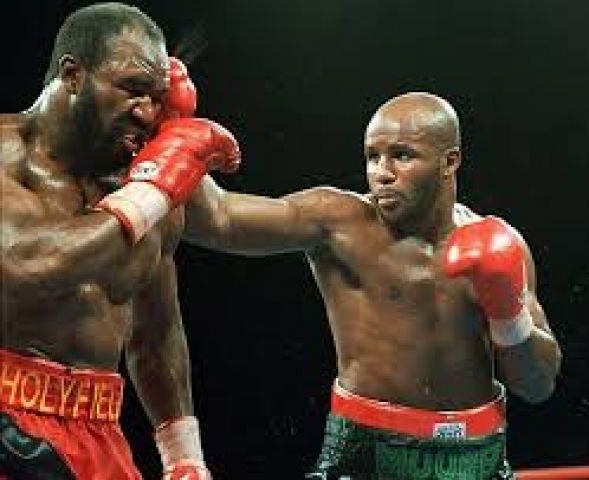 This time it was Holyfield who got the win, defeating Moorer when the fight was stopped in the 8th round. Moorer retired from the sport for 3 years before returning to the ring in 2000. But he never had the impact he did in the 1990's. His biggest match was against David Tua in 2002, a fight Tua won by knockout just 30 seconds into the 1st round. Moorer ended his career as one of only four fighters to win world titles as both a heavyweight and light heavyweight. He was also one of only four fighters to win one or more versions of the world heavyweight championship on 3 different occasions. While he didn't have the recognition of the likes of Tyson, Holyfield, and Lewis, Michael Moorer quietly had one of the most successful careers in professional boxing.